I have to say that I was quite excited to find out about the big screen version of the cartoon that I grew up watching. It definitely has as a certain nostalgic value to it; add to that the chance that maybe, just maybe, the new generation might actually enjoy something we did in our childhood. 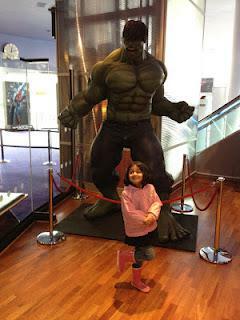 So, as a way to introduce the wonderful characters to my four-year-old, we made our cinema visit into a little father-daughter date. For a change, I decided to go ahead with a vlog to review the film. In fact since it's never too late to start my daughter on the way to becoming a critic, I decided to put her in front of the camera and take her opinion on the film, especially since it is a film that is aimed more so towards the little ones. As an adult, I did enjoy the film a lot. 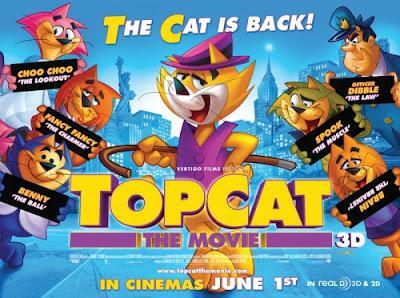 The comedy was slightly on the thin side, but there is always a lot more you can take from Top Cat than just the humor and for that I felt the film makes for a good afternoon viewing. It does feel like a long episode of the cartoon in totality, but that remains the case with most animated films that are based on old cartoons. The animation was pretty good, with a few instances where it felt a bit too computer generated. The voices are spot on, and I could relate most of them to the original cartoons. The presence of most characters be it in a cameo, was a nice step to add on to the nostalgia. 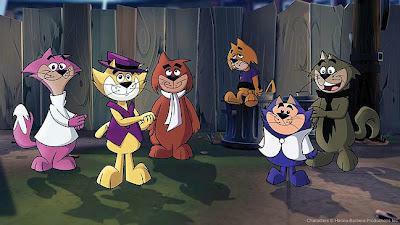 All in all Top Cat is a wonderful little piece of history that has just got a dose of well-intended rejuvenation with the release of the film.